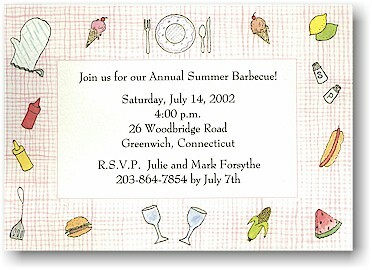 White flat card with pink and white "gingham style" border depicting items from a summer picnic or BBQ. BMD111 shown. Choose any available typestyle.